Defend your goal in this extreme dodgeball game! 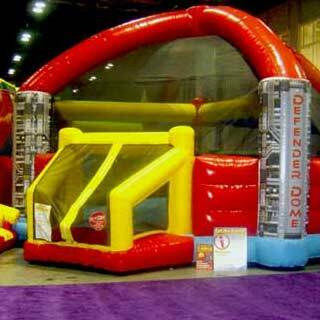 Defend your goal against the three other players in the fast-moving, extreme dodgeball game, played inside a gigantic 35-ft. inflatable court. Four players face off against each other defending their goal against the others while trying to sink their balls into their opponents’ goals.